What can a biologist do with ten million dollars? Find new therapies for cancer? Treat inflammatory illnesses? Fight infectious diseases? Established in 2015, the Program in Innovative Therapeutics for Connecticut’s Health (PITCH) is working to accomplish all of these goals. The program aims to help scientists at Yale University and the University of Connecticut develop their research into new therapeutic drugs. Its founder and principal investigator, Craig Crews, approached the Connecticut Bioscience Innovation Fund with this idea in 2015. The group showed their support with ten million dollars in funding over three years. In January 2016, the first 12 projects were selected for further development. Crews, the L.B.Cullman Professor of Molecular, Cellular, and Developmental Biology at Yale, started the program to serve an unmet need in academia—attracting additional investment from venture capitalists to help translate basic research into clinically useful pharmaceuticals,. He currently leads the Yale Center for Molecular Discovery (YCMD), which assists Yale biologists with large-scale, high-throughput projects. “It was clear to me that many projects could go beyond just the research tool phase if there were resources, if we could take the next step or two towards drug development,” Crews said. PITCH projects will benefit from free use of YCMD’s services, such as assay development. “What we want to do is generate the minimal data package necessary to convince investors to invest and create a new biotech around this initial intellectual property,” Crews said. Crews has learned from his own experiences in academia and business: in addition to teaching at Yale for over twenty years, he founded two biotechnology companies. One company, Proteolix, has developed an FDA-approved cancer drug. 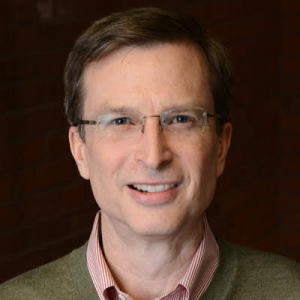 Dr. Craig Crews is the principal investigator of PITCH and Lewis B. Cullman Professor of Molecular, Cellular, and Developmental Biology at Yale University. He is also cofounder of Proteolix and founder of Arvinas, two biotechnology companies. Image courtesy of Craig Crews. Crews said that he hopes PITCH will help other Yale faculty members create companies that are, like his own, based on original research. He aims to fund at least 36 projects over PITCH’s three years.